NORTH ANDOVER, Mass. - The Merrimack College men's ice hockey team had its three-game winning streak snapped on Friday as visiting New Hampshire blanked the Warriors in Hockey East action. - Merrimack had an early opportunity to go in front but was denied not by the visiting goaltender, but two posts, as a deflection from freshman Chase Gresock ricocheted off the crossbar and left post and out. - Held to only four shots the remainder of the period, that wound up being the best of the home side's opportunities in the opening stanza, as they watched the Wildcats pot two goals in less than two minutes to carry a 2-0 edge into the first intermission. - Despite outshooting the Wildcats by a 12-9 margin in the second and enjoying an extended 5-on-3 power play at one point, Merrimack's offense was kept in check while UNH added two more tallies - including one on a power play of its own - to push the deficit to four goals heading to the final frame. - Merrimack tried to spark the offense by employing an extra attacker on a pair of power plays in the first half of the third period but could not capitalize despite outshooting the Wildcats by a 10-3 advantage, as New Hampshire held on for the shutout and added a late empty-netter to account for the final margin of victory. 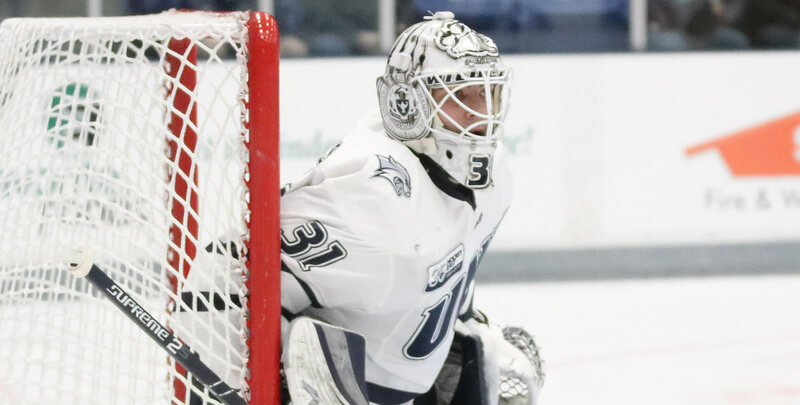 - Merrimack saw its season-high three-game winning streak come to an end after suffering its third shutout loss of the season, its first since a 6-0 setback against Providence on Dec. 7. - The Warriors blocked 12 shots, making it six straight game with a double-digit block total. Four different players blocked two shots apiece. - Senior Michael Babcock led all Warriors with eight faceoff wins on 19 tries. - New Hampshire swept the season series by virtue of its second win this month. Merrimack will head to Boston University for a Martin Luther King Jr. Day matinée next Monday (Jan. 21), with puck drop at Agganis Arena set for 4 p.m.